We know man are feeling jealous on why all the benefits are given to women. But friends, Women empowerment is a must for the betterment of our country’s future, as women are better manager than men. They can properly manage both her house and office in a systematic way as compared to men. Women have played a pivotal role of a mother, daughter, sister and wife, so think if she gets a chance to work for the development of India. So, educate your daughter and let her fly in this open sky freely, who knows one day they will also make you feel proud. 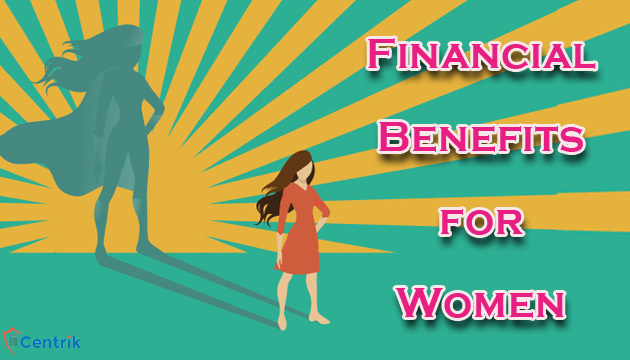 Today on International Women’s Day we are telling you about various financial benefits given to women. Since the introduction of income tax (I-T), women have been given special attention by the government, thereby paving the way for their financial independence. The government gave higher tax exemption limit to women. However, this practice was abolished prior to the 2012 budget. However, to save taxes, women get the same deductions as men under Section 80C to 80U under the Income Tax Act, 1961. Banks now offer discounts and cash back rewards for women who spend money on their bank’s debit card on shopping, food, wellness, entertainment, etc. Some banks have also started offering discounts on medical tests required by women like thyroid tests, etc. To save for their kid’s education, working mothers can open a ‘Junior/Kid Account’ with the waiver of monthly account balance requirement if it is linked to a Recurring Deposit (RD) Account or Systematic Investment Plan (SIP). When women buy an insurance policy, she will receive a benefit on the premium paid as compared to male. Traditionally, women pay less premium than men for the same sum insured when it comes to buying a life insurance policy. The reason behind this is that women have a higher life expectancy as compared to men. However, the same cannot be said for health insurance, where the premium is decided on the basis of the age and another factor such as any pre-existing condition. So as you age, you have to pay a higher premium. Banks offer lower interest rates on home loans if a woman is applying for it or if she is the first applicant for a joint loan. Usually, the interest rate difference is around 0.05 per cent. The same difference goes for car loans too. The difference in the interest rate may not seem that much, but if looked from the perspective of net interest savings, the longer the term period and higher the loan amount, the more you save. Now come to real estate. Some state government provide exemption with respect to stamp duty and transfer duty in case of sale deeds, conveyance deeds and gift deeds if the property is in the name of a woman. For Instance, In Delhi, Stamp duty and transfer duty charges when a sale deed is executed in favour of a woman as a buyer is 4% as compared to 6% paid by a man in the same situation. To promote entrepreneurship among women, government has introduced various policies, schemes and incentives. The latest scheme, ‘Stand Up India’ allows women entrepreneurs to avail bank loans between Rs 10 lakh and Rs 100 lakh in the areas of manufacturing or trading sector for the first time. Government is also providing training facilities for new entrepreneurs. Now women’s are no longer hesitant or scared in claiming a share and visibility within the family, at work, in public places, and in the public discourse. By getting above benefits from government women should feel more empowered.